I don't know about you, but I get overwhelmed when I go to the store around Easter time. There are always HUGE pre-made baskets with toys that look like they'll break within the first five minutes of using them and many of these baskets are expensive. I usually try to go the cheaper route and buy the $0.99 basket with the $0.99 grass and then look for all the cute, less breakable options of things to put into the baskets. Things that my kids really don't need, things that break, or candy that they'll eat in one day even though I tried to limit their intake, but they sneak the candy away while I'm cooking and now their tummy hurts. This year, I'm deciding to try something different. I see all the Facebook videos and all the Pinterest pins and I love almost every single one of them. Why? Because these baskets are useful. Because these baskets have a purpose. Because these baskets are practical! Disclaimer- This post will contain Amazon Affiliate Links. This means that if you purchase something from one of these links, I will receive a small commission at no extra cost to you. All wording and suggestions are my own. I was not asked to write this post and the idea is entirely my own . Who says that an Easter Basket has to be brightly colored with a long stiff handle that is hard to store after its use? Instead of using a regular wicker basket, maybe try buying something that you could use for storage after? Here are some options that you could use instead. 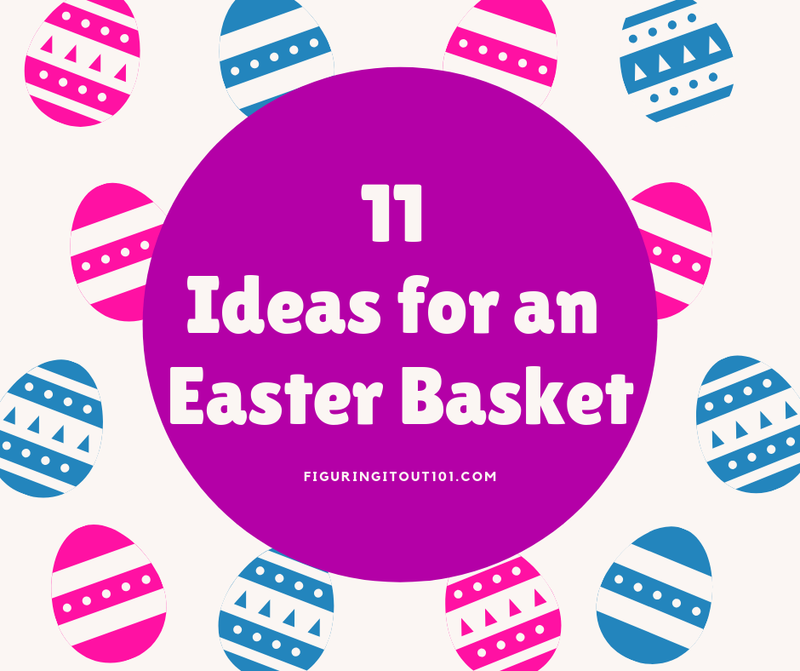 Now, I know this isn't your traditional type of Easter basket, but the prints are cute and you can use these to store toys or whatever your storage needs are, after they've been used. They do present a problem if you want to use them to help collect eggs. In this case, try to braid some string or yarn through the handles to make one large handle and then just cut it off when you're finished. These are very different, but kids could use bags just like we could use purses or totes. This is just another, useful option. It's larger and more costly, but your child could use this basket to either store toys or laundry. If none of these options interest you, you can always still use the regular Easter baskets like these.... But, you might want to go to Walmart or Target where they'll be a little cheaper and you don't have to buy them in packs. 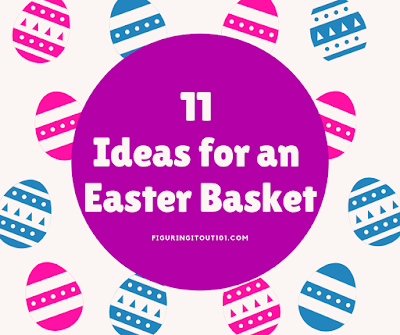 These options may depend on the size of your basket, but here are just a few ideas. Find one of your child's shoes that still fit them and get the size of the shoe before you order boots. My husband and I always like to go a size bigger so our kids can grow into them. We live in the Midwest where there is mud season, so this is a great way to keep the kids' feet dry and also not worry about getting all their socks muddy. My husband and I had such a difficult time finding rain jackets last year. We had no problems finding them for ourselves (the adults) but it was like every store we'd go to didn't have them. After we had just given up trying to find any, we found some at Osh Gosh. We quickly snatched them up, but rain season was almost over. Don't be like us, get your rain coats sooner than later. I know, I know, this is all rain gear so far, but it's very useful, especially if you live in an area that gets rain. Besides, kids look adorable in rain gear and even more adorable when using an umbrella. If you're an Instagram mom, you wouldn't want to pass up a chance for pictures! Finally! Something that isn't rain gear related! Chalk is really a great thing to have, unless you have no outdoor space to use it with, but I'm hoping that you have something that your kids can draw on outside. My kids like to draw on the inside of our fence. It's a wooden one that we haven't treated lately and I don't worry too much about it because when it rains, the pictures go bye bye. It's fun to watch them make up different pictures on each board or try to teach each other like they're in school. I tried to teach my kids to play four square like I did back in the day, and chalk made it happen. Their unwillingness to learn it, ended it. Speaking of four square, you're going to need a ball for that! Balls are great for exercise and hand eye-coordination and all sorts of motor skills. Ugh! I don't like bubbles in the house. They're slimy and always end up on my floor, but if you make a rule that bubbles go outside, it's not so bad. Because... well, bubbles are fun and mesmerizing. I wanted to put this one last so that it's fresh in your mind. The whole reason for Easter is because of the sacrifice that God made when he sent his son Jesus down onto this earth to die for our sins. We used to have to make our own sacrifices to be forgiven, but it became too much because man sins all of the time. So Jesus became our answer. Though he had no sin, he took the place of another sinner and then was beaten and humiliated then killed. Satan had thought he won that Friday, but lo and behold, death had been defeated when Christ rose from the dead on that glorious Easter morning. If you believe that, like I do, it's important that we remind our children why we celebrate this day. If you already have a kid's Bible, then read them some stories. If you don't then this would make a great gift for your child. I'd recommend The Beginners Bible for small children. It's easy to read and colorful to keep your children's attention. You can read my review here. There are also great options for older kids too. You can find them almost anywhere that sells Bibles. Walmart and Target might be limited, but Barnes and Noble and other big book shops might have them. Another great Bible for kids is The Jesus Storybook Bible. We were given this Bible as a gift from our church on baby day- which is when the parent's of the church got to parade our babies and toddlers down the aisles to show how we were building the church. This one is more descriptive and is geared more towards grade school kids, vs toddlers. We also must not forget Bibles for your teenage girls and boys. It's the same word, just different devotional applications written for the different genders. The youth is the future of our world, and it's important that we raise them to do well for that future. I left candy out, but that doesn't mean that you can't give them some special treats (I know I still will). and if you want to put in grass or something like that as a filler, please stay away from anything plastic and stringy if you have pets because it's bad for them if they eat it. If you do something different than Easter and it's not ritualistic killing or something equally terrifying or satanic, what do you do? The egg hunt is approaching and there is nothing that amuses me more than creating them and painting them! I've never done that before. This might be a tradition I'll need to try with my kids. The prints are so cute. Most of the baskets are now having good options. Nice post to help people for shopping. Thanks! Sometimes is nice to think outside of the box. I can't believe in less than a month it would be Easter already. The days are flying. I always love egg hunt for Easter. Use to take part in it when I was a kid now I organize it for my cousins. My cousins still organize a HUGE Easter egg hunt for the little kids, but we haven't gone since I was little. They live a little further away and we always had some other plans, but now that my own kids are older, I feel we missed out on letting them get to know their other cousins. That's cool that you get to make some up for them. I love this! My Easter baskets were pink and green with plastic grass and chocolate! While it was great for me as a kid, these are so much more interesting! Things to read and play with and the basket itself is reusable! I love the reusable part of the basket! What an amazing post! It transported me to my childhood. I absolutely loved Easter, because we always went egg hunting, won baskets and played fun games with all the family. I enjoyed painting the eggs! Loved your creative ideas!! Thank you! 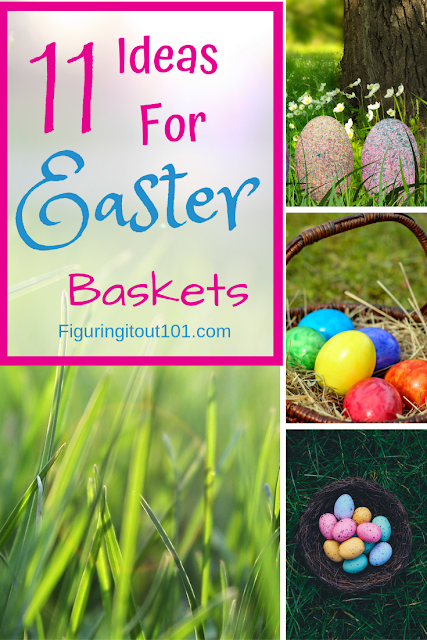 I love watching my kids search for eggs and discovering their baskets. These are all pretty cool. And if we lived in a place with more rain, I would totally do the rain boots and umbrellas. It would be so cute. Perhaps I should have added flip flops and sneakers. I almost did, but I have to admit, I was getting pretty lazy towards the end. I love easter but it is not celebrated here in our country!But your options are too cool! Thank you! It rains a lot in this part of the United States. It very easy to get caught up in the festivities and forget why they were there in the first place. I think the use of backpack bag as Easter bag is more practical, especially for egg hunting. They need more secured bags. I agree! 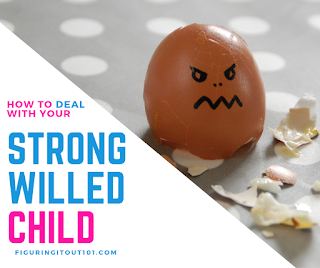 Many young kids might not have hand strength to keep the others upright for an egg hung. OMG! It's Easter time already! Where has the year gone? I like all the things you have shared for Easter. Very practical list! This year has been going by very quickly. It's nuts! I bought a couple of vintage tool chests off ebay and filled them full of candy and stuff for my two middle school aged boys one year. They still use the tool chests to this day.